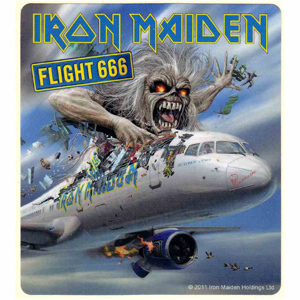 Fly with British heavy metal rockers Iron Maiden during the Somewhere Back in Time world tour on their private jet, piloted by the band’s lead singer Bruce Dickinson, when the Tower Theatre Foundation screens the rockumentary Flight 666 on Monday, December 29 at 7pm. Featured songs include: 2 Minutes to Midnight, Run to the Hills, The Number of the Beast, The Trooper and Aces High. Movies at the Tower are sponsored by Worthy Brewing,in collaboration with BendFilm, with Stereo Planet providing the high definition projection system.